Kennedy and Alston are both influenced by global issues of social class, power, politics, and identity. 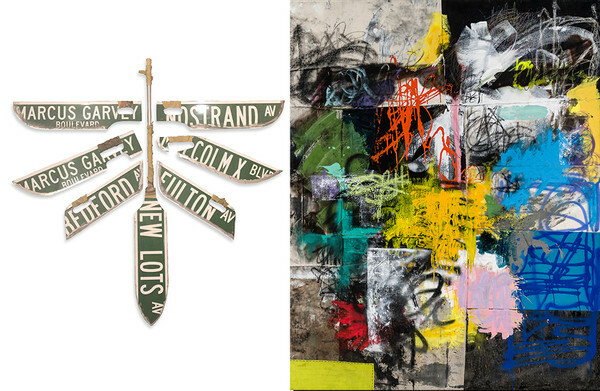 They each have an individual and unique way of layering elements of the urban neighborhoods of their childhoods with a hand that has a basis in art and political history. Alston uses rich palettes and complex compositions in his vibrant energetic paintings. Kennedy builds mythological bodies based on a past, present and future dystopia. They both present a contemporary commentary that begs a further examination to understand all of the layers.